The Comox Valley, British Columbia. The Comox Valley is a regional district of British Columbia that was administratively formed in 2008 to provide regional services to its current populations of 66,527 residents. The Comox Valley comprises the communities of the City of Courtenay, the Town of Comox, and the villages of Cumberland, CFB Comox, Royston, Union Bay, Fanny Bay, Merville, and Black Creek. The Comox Valley is close to Vancouver but they are worlds apart in affordability. The breathtaking scenic splendour that spreads out across 1,699.9 square kilometers of land will attract and captivate you. Sixty percent of the region’s residents live in either the City of Courtenay or the Town of Comox. When added to nearby Canadian Forces Base Comox, these three communities are the central geographic hubs, and main economic engines of this regional district. Getting here is a breeze by either air, road, or ferry. From the moment you arrive your lungs will be filled with refreshing and comforting Pacific air. With a quality of life unrivaled in the rest of Canada, this area quenches the thirst of outdoor & sports enthusiasts, soothes the soul of scenic beauty aficionados, and satisfies the appetite of cultural and social connoisseurs. The median family income in 2013 was reported at $72,600 (compared to a BC average of $74,150) and the crime rate per 100,000 recorded in 2015 was 7,374 (compared to a BC average of 8,799). This region is currently populated by about 66,527 people according to the results of the 2016 census. The 2016 population breakdown is children under 19 accounting for 19% and seniors (65+) accounting for 25%. The median age in the Comox Valley is 48.3 (49.1 in Comox and 46.5 in Courtenay). Of the people, about 98% speak English at home and 45% have post-secondary education. There were 32,076 private dwelling recorded during the 2016 census and this number continues to rise as new construction briskly continues is a number of areas. The top five industries are retail trade (14.3%), health care and social assistance (12.8%), public administration (9.6%), construction (8.5%) and educational services (7.8%). About 87% of people aged 25 to 54 participate in the labour force (2013 stats) compared to 85% in BC. The local airport had 318,830 passengers use it in 2014 and 351,530 use it in 2015. This region of Vancouver Island stretches to Mud Bay in the South, Saratoga beach in the North, the Strait of Georgia in the East, and the Beaufort Mountains in the West. Ages 19-64 comprise 64% of the population. People in the 20s comprise 9%; people in their 30s comprise 10%; people in their 40s comprise 14%; people in their 50s comprise 16%; and ages 60-64 comprise 9%. The median age in Courtenay is 48.3 years compared to the median age in British Columbia of 41.9 years and the median age in Canada of 39.5 years. As an aside the highest median age in a community in BC is Qualicum Beach at 63.9 years. Nearly 70% of families are married couples, 15% common law and 15% single parent. Nearly 91% report English as their mother tongue, 6% speak a non official language (German, Dutch and Spanish being the most prevalent) and 2.4% speak French. About 66% of private household families live in single detached houses. About 15% live in semi-detached or row houses, 15% live in apartments and 4% live in movable homes. The Comox Valley comprises the communities of the City of Courtenay, the Town of Comox, and the villages of Cumberland, CFB Comox, Royston, Union Bay, Fanny Bay, Merville, and Black Creek. The Comox Valley Regional District provides services to rural areas, and to urban areas in cooperation with municipalities. The Comox Valley Regional District manages over 100kms of forested trails. There are 9.2 parkland hectares per 1000 people in Comox and 7 in Courtenay compared to the national standard of 4. The village of Cumberland enjoys 66.3 where the average age is 38.2. Recreational facilities and spaces most accessed include local beaches, CVRD trails (Goose Spit, Seal Bay, Nymph Falls, Grassy Point, etc. ), municipal parks and playgrounds and provincial parks (Strathcona, Kitty Coleman, Helliwell, etc). Canadian Forces Base Comox (19 Wing) is an operational based of the Royal Canadian Air Force. CFB Comox is located on the Southern tip of the Comox Peninsula near Cape Lazo. The main gate of the base is located about 6 Km from the town of Comox and about 9 km from the City of Courtenay. The Base’s Aurora crews keep watch over the Pacific Ocean looking for illegal fishing, migration, drugs and pollution in addition to foreign submarines. With CC-115 Buffalo Aircraft and CH-149 Cormorant Helicopters, they also carry out search and rescue operations in the busiest region in Canada, stretching from the B.C.-Washington border to the Arctic, and from the Rocky Mountains to 1,200 km out into the Pacific. The Comox Valley is accessible by air and road. To get here by road you will need to get to Vancouver Island by ferry from the mainland and then travel up island via either Highway 19 (a four-lane expressway) or Highway 19A (a two-lane highway that follows the coastline). The Comox Valley Airport is located on the Western side of the short 5,000 foot runway (Runway 18/36) operated by CFB Comox. The Base also operates a longer 10,000 foot runway (Runway 12/30). Flying to Vancouver Island is a breeze when you fly through the Comox Valley Airport (YQQ). YQQ is a premier Vancouver Island airport and the best and most convenient way to access this beautiful island. YQQ offers daily non-stop flights with WestJet, Air Canada, and Pacific Coastal Airlines. The passenger terminal is a spoke that connects to the major hubs of Vancouver, Calgary and Edmonton as illustrated on the following diagram that is attached courtesy of the the YQQ Chief Executive Officer. 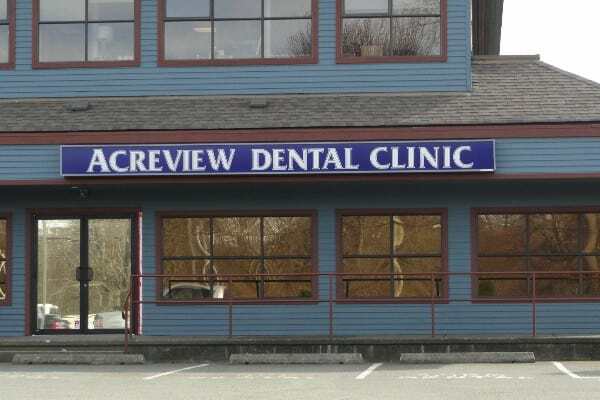 The hospital currently serving the Comox Valley is located at 2317 Comox Avenue in Comox. The hospital phone number is (250)339-2242. Of note is the work to transform St Joseph’s Hospital to a Residential Care Facility. St. Joseph’s Hospital has selected KMBR Architects Planning Inc. to work in collaboration with the hospital’s planning team to design a proposed Residential Care Facility in Comox. The project that is being contemplated is the complete redevelopment of the current St Joseph’s Hospital site in Comox. An expansion is being planned to accommodate up to 234 Residential Beds, 6 Hospice Beds, a 20 Adult Day Care Program, and approximately 80 parking spaces. It is anticipated that this building will be a structure of approximately 145,000 sq. ft. The development of the first building schematic design will proceed as soon as a preliminary building site plan has been finalized by SJGH. The new hospital under construction is expected to open in 2017. It will be a state of the art 153 bed facility. The Comox Valley has a plethora of restaurants and offers almost every type of cuisine for your pallet. They include fast food such as the great food at Georges Food Bar, American, Asian, Bar Food, Beverages, Breakfast, Burgers, Cafes, Canadian, Chinese, Coffee and Tea, Desserts, German, Greek, Healthy Food, Indian, International, Italian, Japanese, Mexican, Pacific Northwest, Pizza, Sandwiches, Seafood, Steakhouses Tea, Thai, Vegetarian, and Vietnamese. Try out a few of the more than 100 in Courtenay and Comox and see what you think. Below is a map for Comox Valley Restaurants. If you would like to see ratings for the restaurants as well click on View larger map in the upper left hand corner of the map. The Canadian Forces Snowbirds are an aerobatic demonstration team located at Moose Jaw Saskatchewan. They currently operate the Canadair CT-114 Tutor jet aircraft. They come out to CFB Comox in April to work up for their airshow season which runs from the end of April to early October where they fly across Canada and into the US. The Comox Glacier is a glacier on Vancouver Island, British Columbia, Canada, located 30 km southwest of Courtenay and 1 km west of Argus Mountain in Strathcona Provincial Park. The Strait of Georgia separates Vancouver Island from the mainland. It is approximately 240 kilometres (150 mi) long and varies in width from 20 to 58 kilometres (12 to 36 mi). The mean depth of the Strait of Georgia is 157 metres (515 ft), with a maximum depth of 448 metres (1,470 ft). The Comox Harbour is located about 2 blocks from downtown Comox. It has provided shelter for ships since the late 1800’s. Today it is home to a large commercial fishing fleet and a sizable number of pleasure craft. Nestled beneath the Beaufort Mountains and the Comox Glacier the Comox Harbour has spectacular views. Boaters traveling Georgia Strait, the Gulf Islands, and Baynes Sound will find dedicated guest moorage, with 20, 30 and 50 amp electrical service, available on the South East side of the Harbour from mid May to mid September each year. Washrooms, showers, laundry, tourist information as well as an air conditioned lounge are located in our new building on the Wharfhead to make your stay in port more enjoyable. Perhaps not as well known are the ancient coastal temperate rainforests with trees well over 1,000 years old, and some with bases more than 30 feet around. The largest trees are found in areas such as Carmanah Walbran Provincial Park (20 km northwest of Port Renfrew on the southwestern coast of Vancouver Island), Cathedral Grove (MacMillan) Provincial Park (25 km west of Qualicum Beach and 16 km east of Port Alberni on central Vancouver Island), and Clayquot Sound (on the West Coast opposite the Comox Valley). The Crown Isle Golf course is a platinum rated par 72 18-hole course that was designed by Graham Cooke & Associates. It opened in 1992. The course has 11 lakes, views of the Beaufort mountain range & Comox glacier. Bald Eagles are common around Vancouver Island. They build their nests at the top of large conifers selecting trees with open access, good visiblity and close to water. The nest can weight several hundred kilograms and are used over many seasons. Bald Eagles require five to six years to be their full adult size. Juvenile birds are dark brown, and are often taken to be Golden Eagles. Second and third year birds show considerable white on their undersides, but by the fourth year, the white of the head and tail are beginning to show. Many different activities and events take place over the course of each year. These are some of the larger ones. The Filberg Festival takes place in early August in the gardens of the Filberg Heritage Lodge and Park. It encourages excellence in all forms of arts and crafts, and to assist in the promotion and sale of quality work. The Festival has established a world-wide reputation for the excellence of the work of its artisans, and today is one of western Canada’s largest outdoor arts show. Over 300 people volunteer each year to make this event a reality. The Vancouver Island Music Festival takes place at the Comox Valley Fairgrounds just outside of Courtenay in the middle of July of each year. The Comox Valley Classic Cruisers Car Show takes place about the 3rd week of July each year and it is preceded by a Cruise around the valley the day before. If you are not familiar with the Comox Valley, take a few minutes to watch the two videos below – Discover Comox Valley and the Comox Valley Escape. These videos were produced by Comox Valley Tourism Vancouver Island, British Columbia. From the Comox Valley it is possible to go fishing, skiing and golfing in the same day! Increasingly, people from other parts of Canada are choosing to relocate to the Comox Valley for the quality of life that is offered out here on the West Coast. Vancouver Island has been recognized by Conde Nast Traveller magazine as the Top North American Island for a number of years. The island is well known for its saltwater and freshwater fishing.From the Comox Valley you can lauch your boat into the Strait of Georgia and go after salmon, cod, snapper, halibut and other species of saltwater fish and shellfish. You can also fish a number of rivers for steelhead, and fish from the beach for pinks. Or, if you prefer, you can head out to one of the lakes and catch trout (rainbow and cutthroat). If you venture further you can go to the West, North, or South side of the island and catch fish as well. Strathcona Provincial Park is the oldest Provincial Park in British Columbia. It was designated in 1911 and is located in almost the centre of Vancouver Island. Two areas of the park, Buttle Lake and Forbidden Plateau, offer developed areas for visitors while the rest of the park is mainly undeveloped. Buttle lake is home to Cutthroat, Dolly Vaden and Rainbow trout and can be accessed by following highway 19 north past Courtenay to Campbell River and then highway 28 west for about 48 km. Forbidden Plateau can be accessed by taking the Strathcona Parkway (exit #130 on highway 19 north of Courtenay) to the Mount Washington Ski Resort and then taking the Paradise Meadows trailhead at Mount Washington. There are quite a number of good golf courses spread throughout the Comox Valley. Within Courtenay and Comox these include the Comox Golf Club (9-hole course that opened in 1913), Crown Isle Golf Club (par 72, 18-hole course), Glacier Greens (18-hole championship course), Longlands (18-hole par 3 course), Mulligans (executive length course with 6 par 3s and 3 par 4s) and Sunny Dale (18-hole course). Watch out for the deer on the courses on the Comox Peninsula. Our Valley offers many places to stay and eat, and you can hike, bike, swim and camp in a number of areas. Among a number of other things to do are museums (Air Force museum and the Courtenay and District Museum and Palaeontology Centre), the Rialto Movie Theatre, and the Sid Williams Theatre. Some of the events during the course of the year includes Canada Day in Courtenay, Nautical Days in Comox (end July), Empire Days in Cumberland (end May), the Comox Valley Exhibiton off Headquarters Road in Courtenay (end Aug), the Filberg Festival in Comox by the Filberg Lodge (end July), the Comox Valley Shellfish Festival (Mid June), Vancouver Island Music Fest (early July), the Big Day Up on Mount Washington (mid July) and the Big Time out near Cumberland (mid Aug). There is always something to do in our Valley. If you want to chill out and relax, visit the pier at the Comox Marina, and sit and enjoy the view of the Beaufort Mountains and the Comox Glacier. Go out to Kye Bay Beach and sit and admire the Strait of Georgia and the Coast Mountains in the background. You may even catch a cruise ship heading north. Or head down to the Comox Spit, enjoy a fire on the beach and a spectacular panaramic ocean view. You can also visit a local brewery (Surgenor Brewing Company in Comox) or winery (Beaufort Vineyard and Estate Winery in Courtenay), (40 Knots Winery in Comox), (Blue Moon Estate Winery in Courtenay), (Coastal Black Winery in Black Creek), and on Hornby Island – Middle Mountain Mead, Carbrea Vineyard and Windery, and Hornby Island Winery, or the Shelter Point Single Malt Whisky Distillery just north of the Oyster River, and try some excellent local offerings. When you get hungry drop by one of our local orchards, berry and vegetable farms and farmers markets and pick up some locally grown food. To burn it off, head out to the hiking and biking trails at Seal Bay Nature Park on the Comox Peninsula or the meandering trails that follow the Puntledge River in Nymph Falls Park. Comox Valley community organizations are numerous. Following are a few of the service-related and other community organizations that exist in the Comox Valley have been added to this page for the information and convenience of people who are not currently residents but who are considering making the Valley their home. These links are provided for information only and should not be taken as endorsement. If any community organizations listed here wish to be removed from this page please let me know. Others who have a web page who wish to be added, please send me a request. thank you. Information on the arts can be found through the Comox Valley Arts Council (www. comoxvalleyarts.org) and by visiting the website of the Comox Valley Art Gallery (www. comoxvalleyartgallery.com) or the gallery at 580 Duncan Avenue in Courtenay. The Sid Wiliams Theatre Society for the performing arts is located at 442 Cliffe Ave in Courtenay (www. sidwilliamstheatre.com). If museums interest you, the Courtenay & District Museum & Palaeontology Centre is located at 360 Cliffe Avenue in Courtenay. Black Creek Lions Club which meets on the 1st and 3rd Tuesday of the month at 730 pm at 1547 Dingwall Rd in Courtenay. 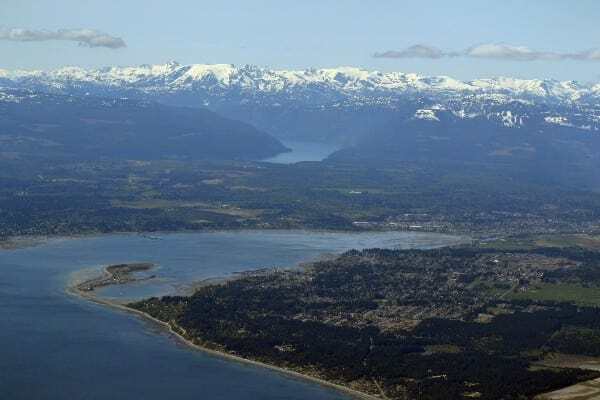 The Comox Valley has changed greatly since the Elasmosaurus roamed this region of Vancouver Island. This marine reptile genus of plesiosaur used four flippers to propel itself through water and roam the land and sea during the Campanian stage of the Late Cretaceous era roughly 80.5 million years ago. Substantial change occurred in successive waves during the Earth shaping glacial ages between 650,000 years ago and the last “ice age” that gave way to warming about 20,000 years ago. The Comox Glacier remains as visible evidence of this “Fraser Glaciation”. The warming was followed by human inhabitation of North America by Paleo-Indians. Evidence of First Nations settlements in British Columbia dates back about 9000 years to the time when the climate stabilized. The Salish word Komoux (original spelling of Comox) means “plenty”. This label became “Land of Plenty” as it was applied to what is now known as the Comox Valley by its original inhabitants. According to our local museum and paleontology centre Sir Francis Drake visited the area in 1579. This assertion is made based on research by Canadian Samuel Bawlf. Bawlf suggested, in his 2003 book The Secret Voyage of Sir Francis Drake, 1577-1580 (ISBN 1-55054-977-4) that Drake’s reference to landing in what he called New Albion (the name of the region of the Pacific Coast of North America explored by Drake) was, in fact, what is now known as Comox on Vancouver Island. This conclusion, however, is not shared by other historians like Jules Verne and Samuel Johnson. What does not appear to be contested is the claim that first contact in Comox between the original First Nations inhabitants and its European visitors took place in 1792 when the Her Majesty’s Ship (HMS) Discovery anchored in the Comox Harbour. Interestingly, the sign erected at the Comox Harbour to describe its history does not mention either of these dates. It does mention that the Comox Harbour was used by the Royal Navy in the mid-1800s, that it played an important role in the maritime history of British Columbia, and that it was once known as Port Augusta. The sign discusses the arrival of James Robb in 1862, the construction of the wharf in 1874, and the subsequent growth of the community and Town of Comox (view my video below on the Comox Harbour to read the sign). The sign adds that this harbour provided the only means of connecting Comox to larger centres such as Nanaimo and Victoria until a connecting road was built in 1910. Four years later the E & N Railway connected Courtenay to these other locations.